With spring finally here and the snow finally melting, you know what that means–muddy paws for the dogs at Orphans of the Storm®. They didn’t seem to mind much, though. These pooches were happy to get outside and play! Sweeney the one-year-old Hound mix caught my eye right away on this visit to the shelter. He is so cute! 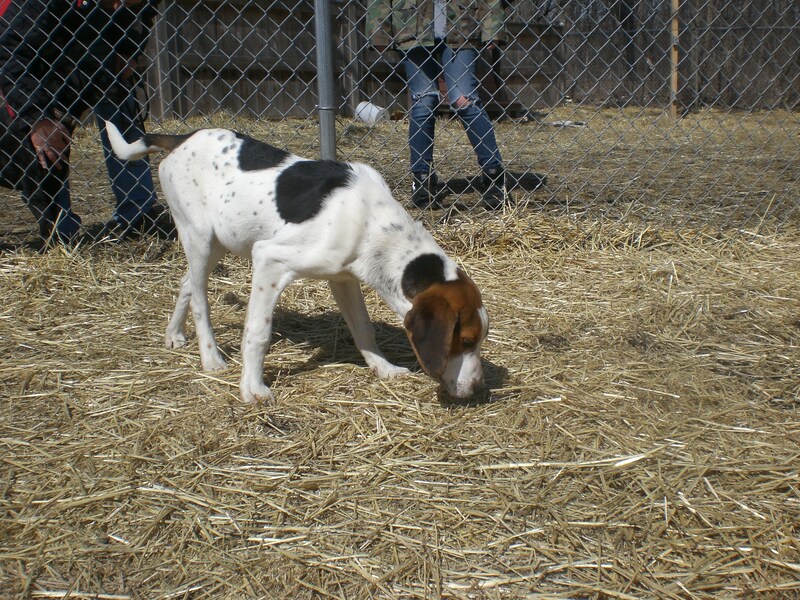 Although he’s still a puppy and might have some more growing to do, he’s still much smaller than some of the other tricolor hound dogs who have come through Orphans of the Storm®. Besides his good looks, Sweeney also has a great personality. So happy and so friendly! Even though Sweeney probably hasn’t had much training yet, he already knows to come when you call him. I took him and his kennelmate Rolly (see below) to play in the off-leash run, and if I called for Sweeney, he would come running even from all the way on the other side of the yard. I was very impressed. 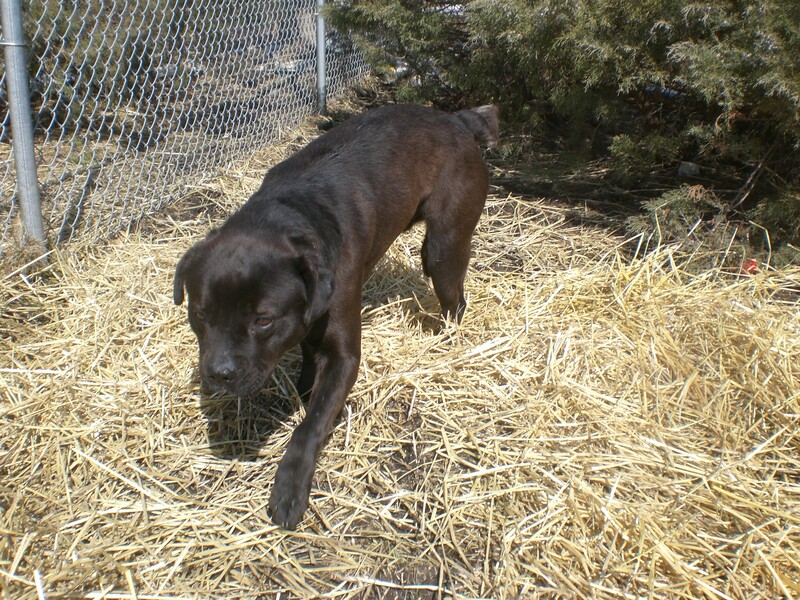 This cuddly little guy could do well in a home with or without other dogs. 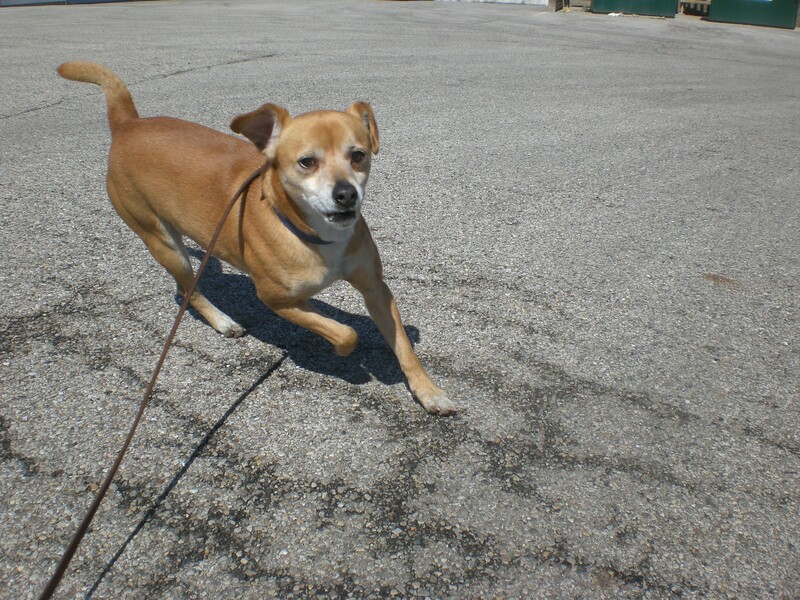 Come in soon to meet Sweeney! 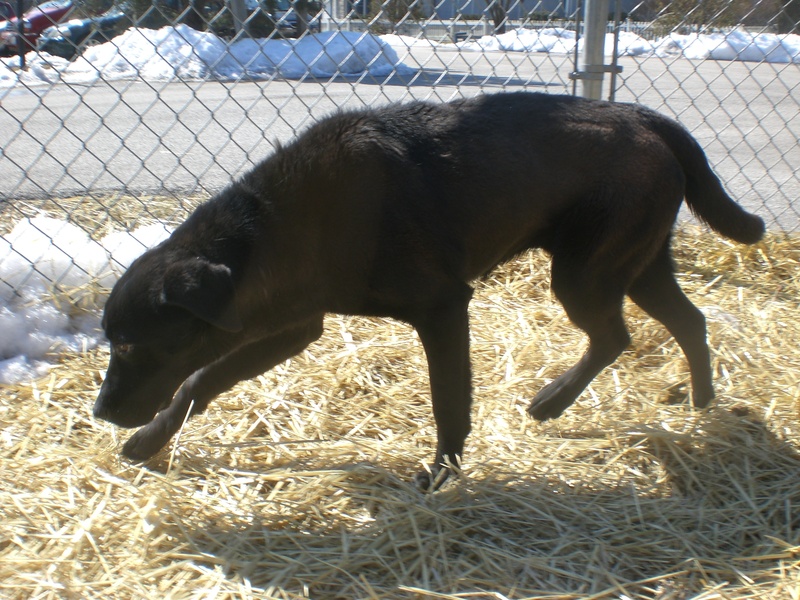 Rolly the one-year-old black Labrador Retriever mix is a little bit nervous in this unfamiliar setting of the shelter–but you certainly can’t blame him for that. When I let him and Sweeney off their leashes, Rolly stuck right by his kennelmate and followed him everywhere. When I would call for Sweeney and he came over to get pet, Rolly would stay a few feet away, unsure of whether or not he wanted some attention too. It’s clear that Rolly is still a gentle, sweet dog hiding under those nerves. When he was back on the leash, he let me pet him without trying to pull away. Rolly would appreciate going home with an understanding family who can show him what being part of a loving home is all about. Once you brighten his life, Rolly will be sure to brighten yours! 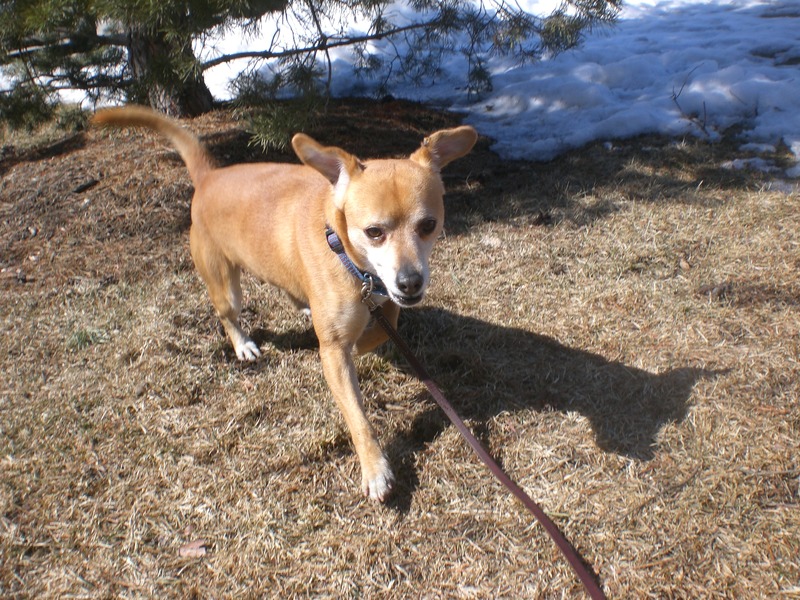 Beezer the two-year-old Terrier mix is your typical Terrier: lots of personality in a little body. Beezer gets excited about everything. 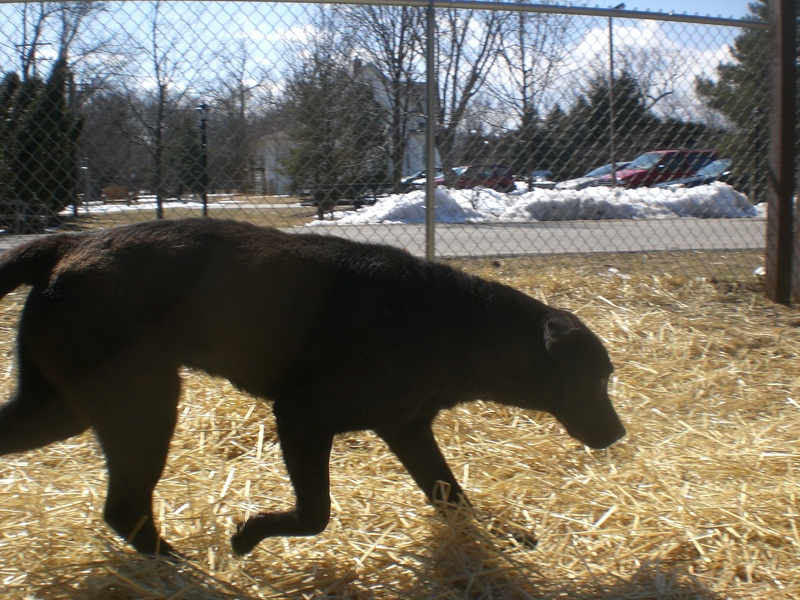 He was more than ready to come out for a walk, and set a quick pace. He’s friendly with other dogs and would bark hello to everyone we passed. His little legs weren’t going to tire out anytime soon! Beezer has a unique look–but it’s an especially cute look! I loved his ears and his nose in particular. Beezer would do best in an active home where he will have lots to do, whether it be training or playing or going on nice walks. 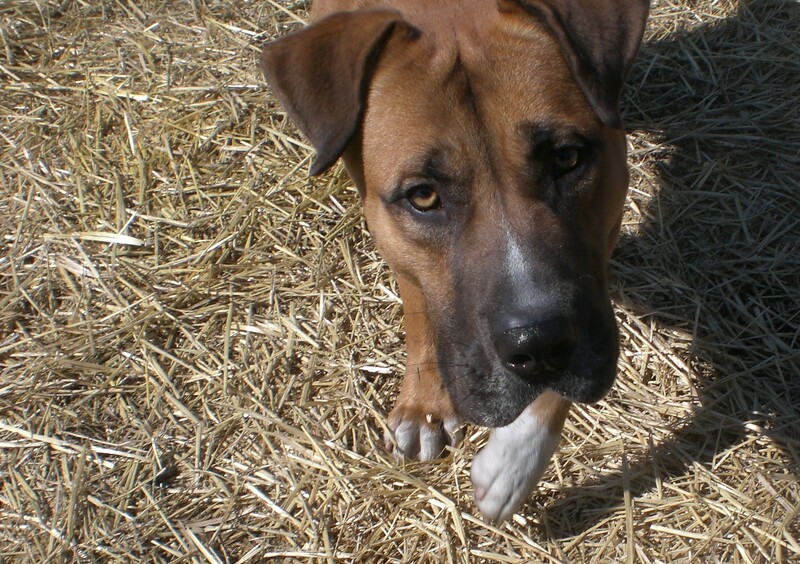 If you’re looking for a new four-legged friend who can bring some fun into your life, Beezer might be the pooch for you! Tyler the two-year-old Mastiff mix isn’t quite ready to be adopted yet–but if you’re looking for a big dog, keep an eye out! Once he’s ready to go home, he won’t be hanging around the shelter for long. This big boy is also a strong boy–especially when he first gets out of his kennel. Once he runs off his energy, though, he’s a much better walking buddy. Tyler‘s face is, in my opinion, one of the best ones at the shelter. His head is bigger than mine, but one look into those bright eyes and you know you’re looking at a giant sweetheart. Tyler likes to lean against your legs while you scratch his back, and is more than happy to give you a doggy kiss as a thank you. I fell in love with this guy, and I’m sure you will too! Rocky the one-year-old Rottweiler/Labrador Retriever mix is one of the silliest-looking dogs at the shelter–but I promise that isn’t an insult! He’s the kind of dog who will make you smile as soon as you see him. I’ve never met a Rottweiler/Lab mix before, but I hope they all have faces like Rocky because he just looks so precious! 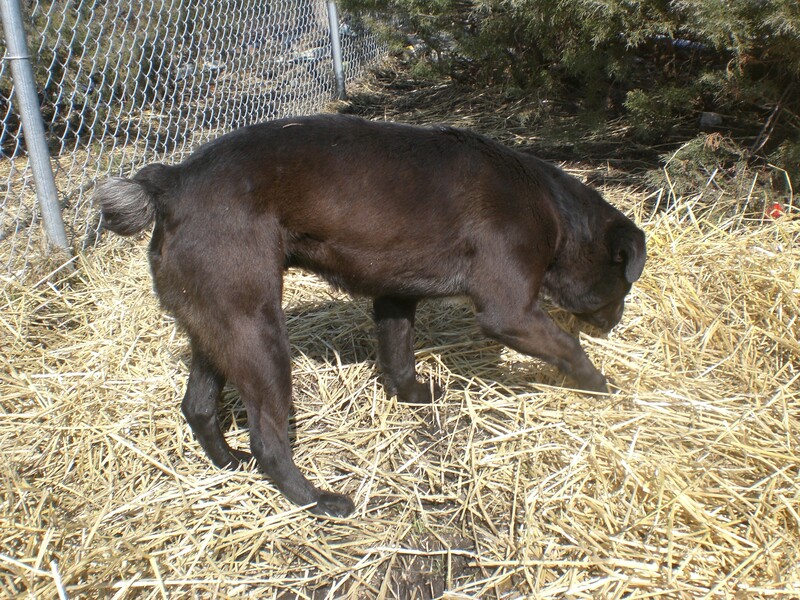 It also seems like Rocky couldn’t decide whether he wanted a Rottweiler tail or a Lab tail, so it’s kind of in-between. Although Rocky looks a little silly, he’s a very well-behaved dog. He walked well on his leash and when we got to the off-leash run, he just sniffed around calmly and came over for a nice pat on the back every once in a while. Rottweilers and Labs both make great family dogs, so you know Rocky is ready to find his forever home and settle in with his new family. 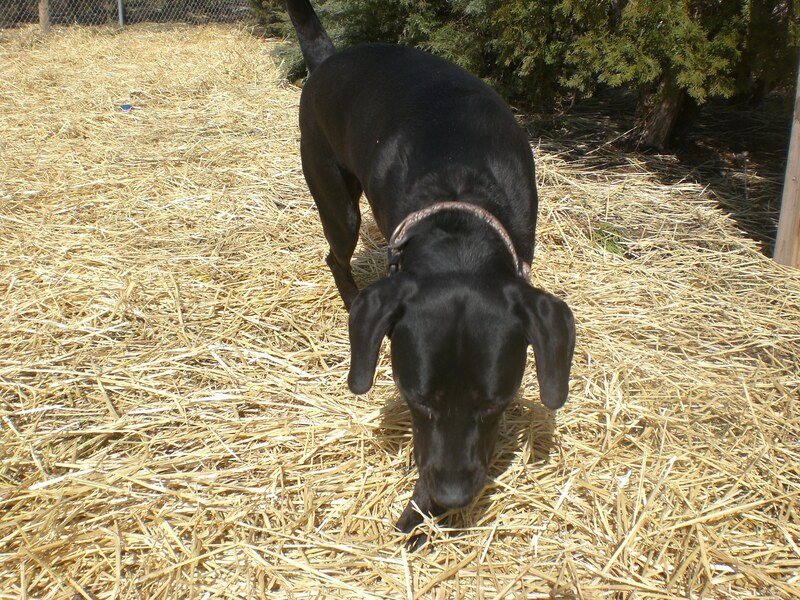 Tammy the two-year-old black Labrador Retriever mix has all the great traits that come with her breed: she’s friendly with people and dogs alike, she’s well-behaved and would be happy to do even more training, and she’s got that wagging Lab tail. 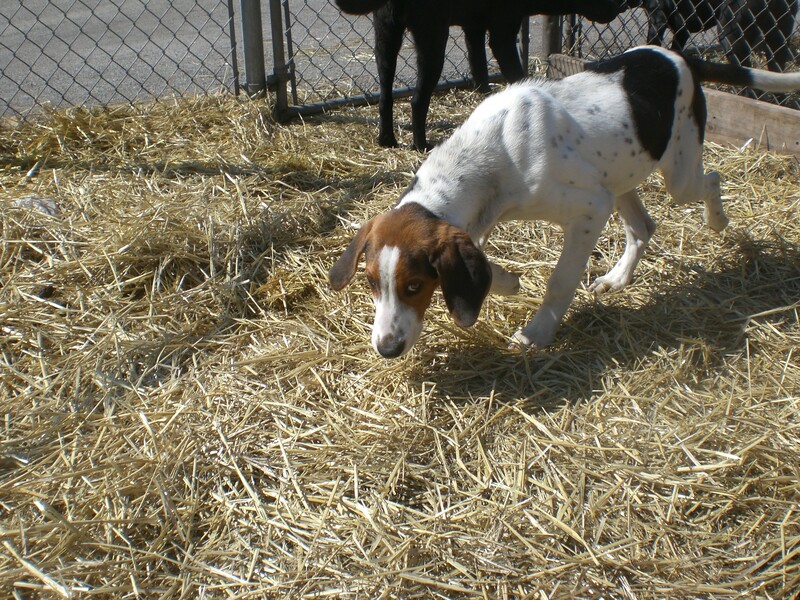 Tammy likes to run when she first gets out of her kennel, but she settles down quickly. Tammy was the popular dog on the day I visited the shelter. 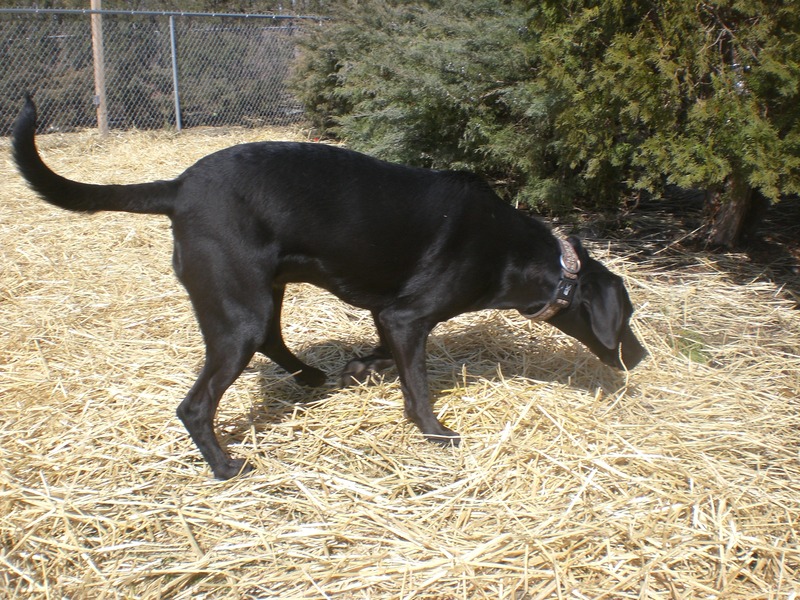 There were a couple families who had already taken her out and were considering adopting her–so if you’re looking for a Lab, you better come in quick! 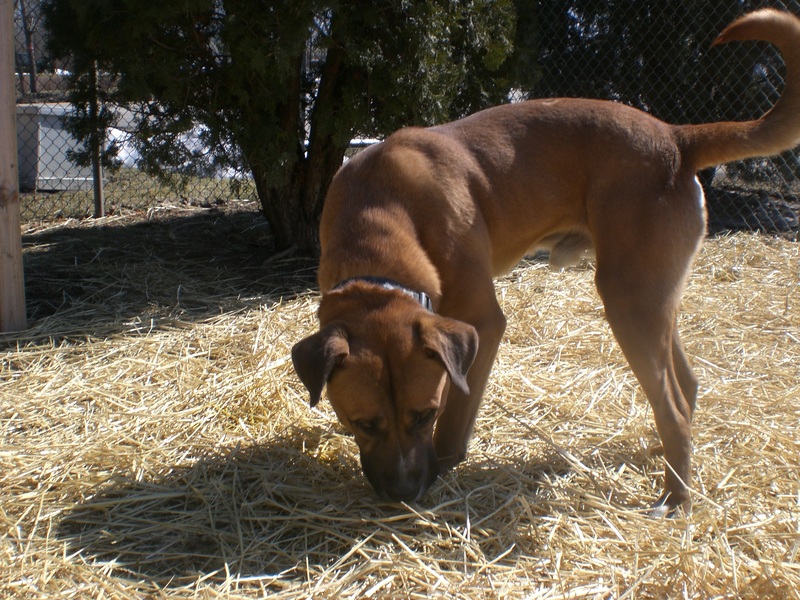 Tammy is a great dog who would do well in any home. Maybe your home will end up being hers! I also took out Toby and his kennelmate, because I hadn’t written about his new kennelmate yet. 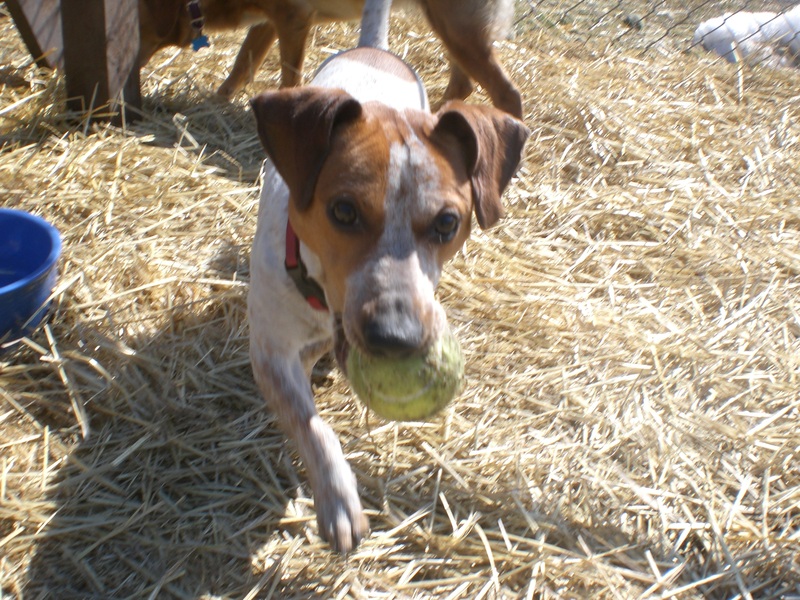 His kennelmate has since been adopted, but Toby is still waiting for his forever home! Tennis balls or squeaky toys are kind of a requirement for Toby. He absolutely loves them! Remember: The Orphans of the Storm® Annual Benefit Dinner is less than a month away–Monday, April 22 at 5:30pm. Posted by Meet the Pooches on March 28, 2013 in Dog Profiles and tagged adoption, animal shelter, animals, Chicago, dogs, Hound, Labrador Retriever, Mastiff, Orphans of the Storm, pets, Rottweiler, Terrier.